BEIJING — China on Sunday accused the US of deliberately distorting the facts in a report on the Asian giant's defense policy, warning Washington it had "severely damaged" trust between the superpowers. The Pentagon on Friday said Beijing had been building up military facilities on reefs and islets in a bid to assert its claims to the contested waters of the South China Sea. 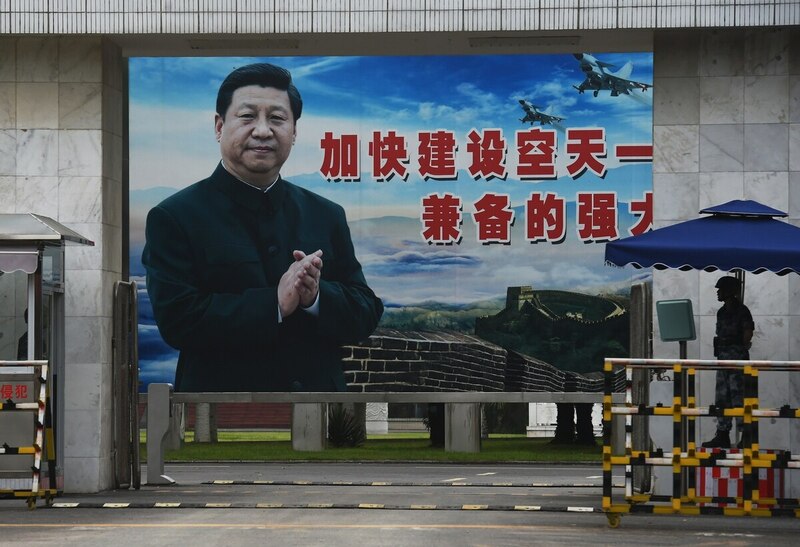 China's military has also been using "coercive tactics" to foster tensions with its neighbors, but will ensure they do not snowball into outright conflict, according to the annual report to Congress. Beijing hit back on Sunday in comments published in state media, with a defense ministry spokesman saying the Pentagon report had "deliberately distorted China's defense policies." "It is the United States that has been flexing military muscles by frequently sending military aircraft and warships to the region," spokesman Yang Yujun said, according to the official news agency Xinhua. "The US annual report on China's military and security developments has severely damaged mutual trust between the two sides." Yang accused the US of being behind the "militarization in the South China Sea," parts of which are claimed by Vietnam, Taiwan, Brunei, Malaysia and the Philippines as well as China. The South China Sea, an important shipping route thought to be home to vast energy deposits, has become a growing source of tension between Beijing and Washington as the US turns its focus on Asia. Washington fears Beijing is seeking to impose military controls over the entire area, where China has built massive structures including radar systems and airstrips on reclaimed reefs and islets. The Pentagon report estimated China has reclaimed 3,200 acres (1,300 hectares) of land around the Spratly Islands, also claimed by the Philippines, over the past two years. Beijing has been angered by the growing US attention on Asia and US forays into the Sea, including sailing warships close to reclaimed islands.